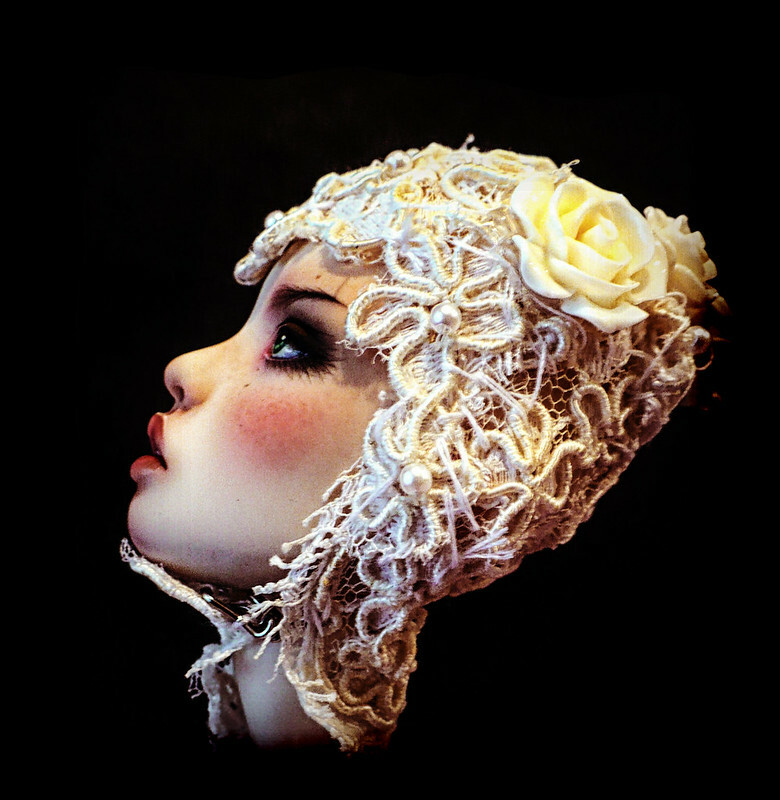 Head cap inspired by the new Roses & Thorns Popovy Sisters collection - handmade from vintage lace and resin roses. The other day while making other projects, I was inspired to make this head cap from some very old lace and pearls from my grandmother stuff; this lace was used to make my sister's wedding dress more then 40 years ago. The roses I got from Michaels craft store. For a first time making a head cap, not too bad. Next time I might paint the roses. 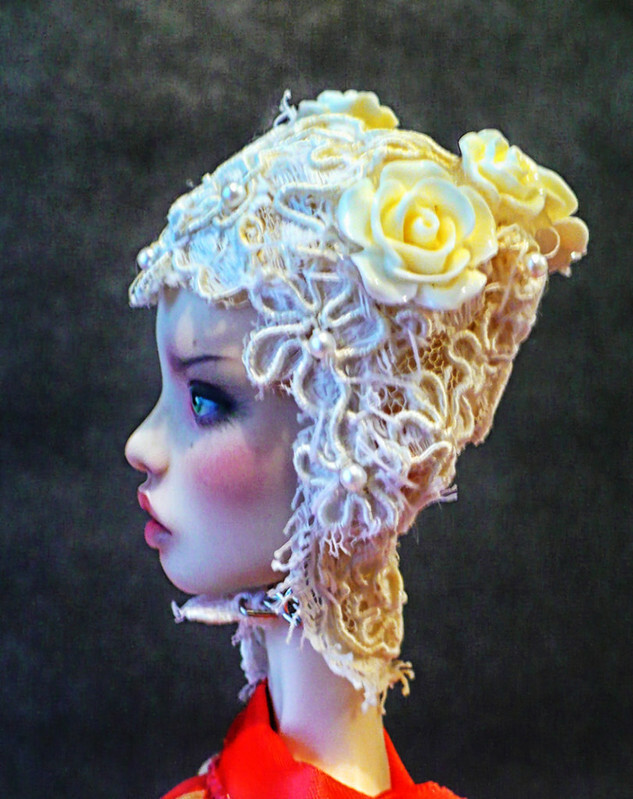 I love old lace, roses and pearls... wonderful! Looks great, but now she'll want an outfit to go with it.